Who? “I turn myself into a drawing,” wrote Portuguese artist Helena Almeida, whose work is a fascinating amalgamation between performance art, photography, painting and drawing. Born in Lisbon in 1934, Almeida is the daughter of sculptor Leopoldo de Almeida, who clearly influenced the young artist to join the painting course at Lisbon’s School of Fine Arts at the fledgling age of 21. 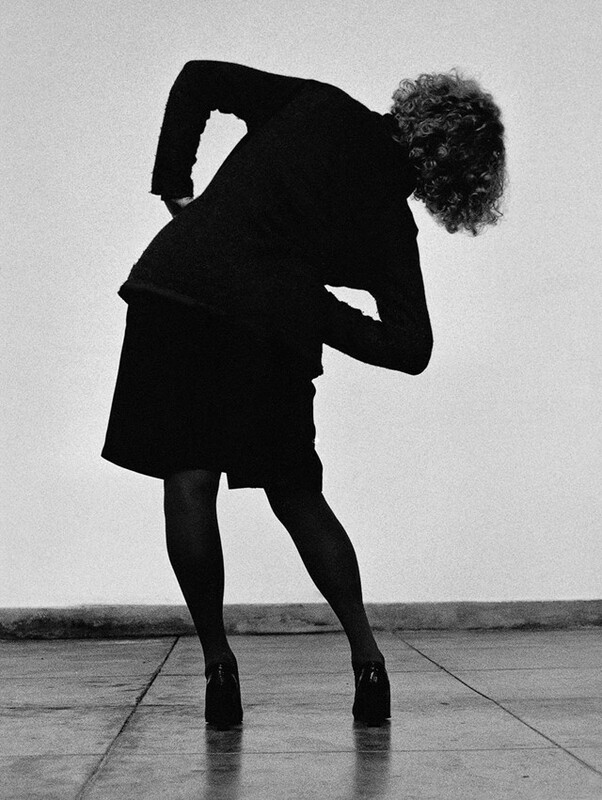 After marrying architect Artur Rosa, Almeida obtained a scholarship which allowed her to study art in Paris; from 1964 onwards, Rosa assisted Almeida, capturing his wife’s performing body as she began to combine photography, painting and performance art. Her groundbreaking interdisciplinary approach resulted in the work for which she is appropriately celebrated for today. What? Almeida started out making three-dimensional paintings, but soon grew to resent the absence of self-representation in the form. 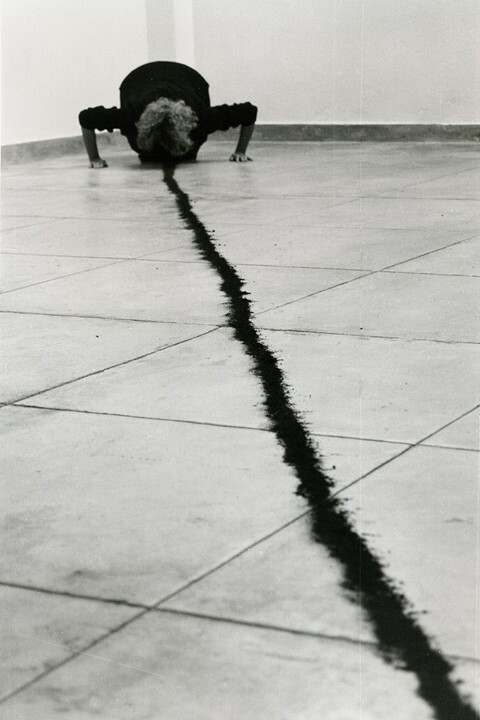 By 1969 she had turned to photography instead, finding that the medium permitted her to incorporate painting, performance art, body art and drawing into her practice, and to reinterpret her own body as a sculpture. 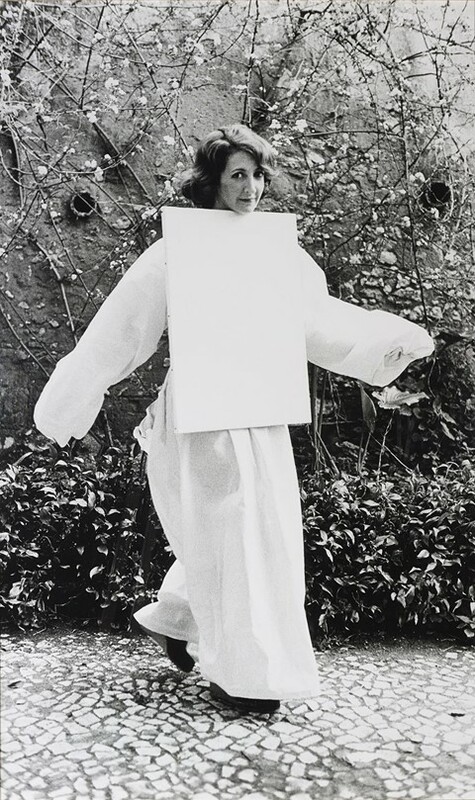 That same year, she exhibited a photograph of herself wearing a canvas, and the image marks the beginning of the artist's groundbreaking move to identify her body with the being of her work. 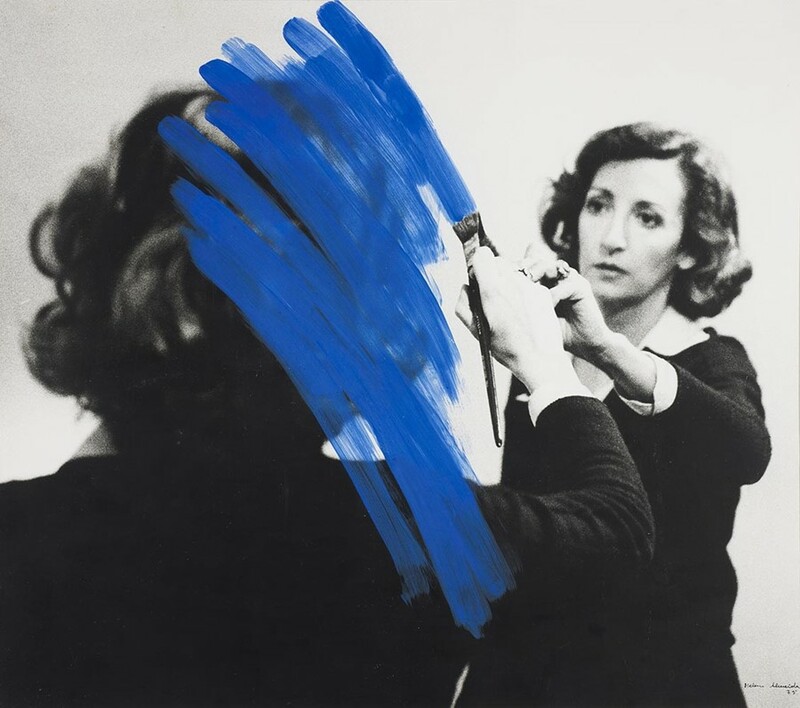 The legacy of conceptual art is tangible in Almeida’s appropriation of the striking blue strokes of paint she often employed, reminiscent of Yves Klein’s trademark hue, ‘International Klein Blue.’ These flashes of colour appear repeatedly in Almeida’s work, menacingly blotting out the artist’s face in one image, and operating as barrier that Almeida is tearing apart with her hands in another. Almeida disagreed with Klein’s use of women in his own practice, and responded to it with artistic ferocity, tenaciously tearing the colour apart and emerging from the supposed void behind. Why? Almeida’s work is a refreshing combination of a number of distinct art forms, which she successfully combined by introducing paint into photographs of her own performance and body art. A tantalising new exhibition, entitled Corpus at Paris’ Jeu de Paume, features a vast offering of the artist’s work from the 1960s to the present day. 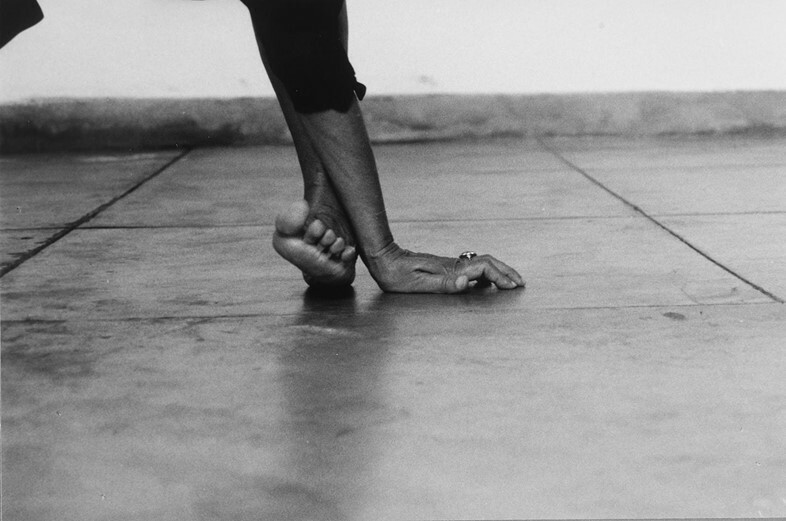 Almeida is quite rightly recognised as a dynamic leader of the unique brand of experimental art which emerged from the Modernist crisis in 1960s Europe; her work opens up prevalent questions about the porousness of artistic practice, the reproduction of images, and questions around the representation of the artist’s body. The exhibition is a timely homage to an unsung heroine of conceptual art. Helena Almeida’s Corpus is on display from until May 22, 2016 at Jeu de Paume in Paris.